Our Chancel Choir is a community within itself. We welcome all who want to "make a joyful noise” for the Lord and lead in worship each Sunday. We sing all styles of music, and hope each piece is an inspiration to someone who needs the message. 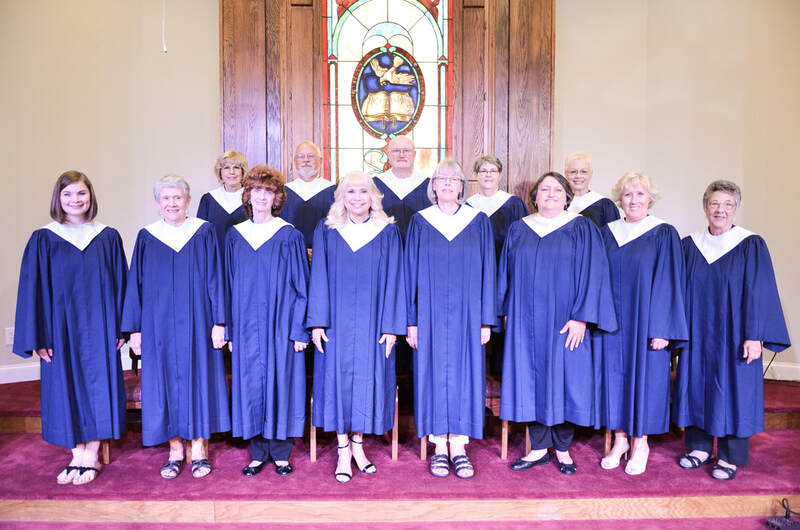 Rehearsals are from 6:00-7:30 each Wednesday evening, and lead in worship at the 9:00 traditional service on Sunday mornings. Within the choir are several small groups. We invite you to come and see what we are all about: this band of people who have become a family over the beautiful gift of music, which we offer only for God’s glory. Sunday mornings after the 9:00 service, in the choir room, the King’s Kidz can be heard practicing their music to lead in worship. Children from the age of 6-11 are welcome to join us. This choir enjoys especially putting on a Christmas musical for the advent season along with help from some adults who love to ham it up. Look for the notices coming up in the fall.